HRV Series Adapter by Hydro-Rain is a solid brass automatic valve adapter. 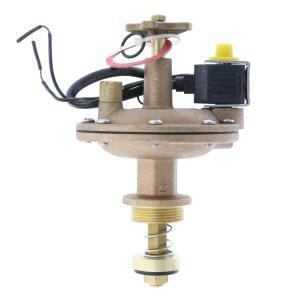 Turn you manual valve into an electric valve with ease. A new taller, easy grip brass bleed screw for manual ON/OFF operation, a the stainless steel covered open frame solenoid and they are compatible with Lawnlife®, Champion®, and Rain Bird® manual valves. Available in 3/4” thread size. The HRV Series Adapters are built to last!